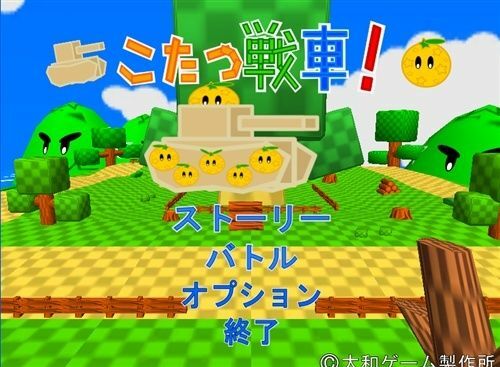 I'll start off by saying that this is a great little Japanese 3D tank arena battle game but it's also one of the most difficult to win. 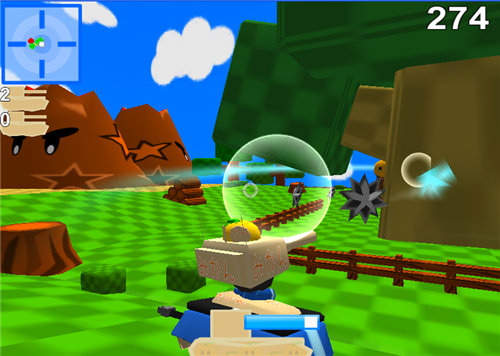 With it's colourful 3D Mario style graphics, cheerful in-game music, you may get some enjoyment from this freeware game. 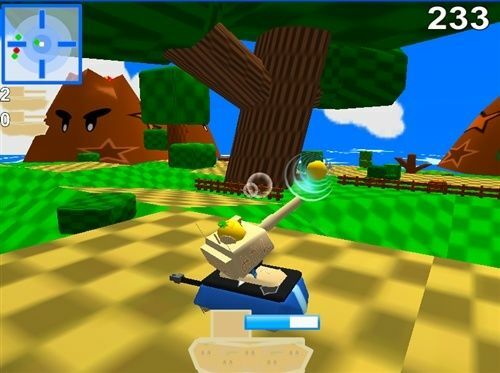 Controlling your little character headed tank is fluid and smooth if a little quick but the enemy tank will move quicker and shoot you where you stand. You need to move fast, aim fast and shoot fast before the other tank gets you first. That sounds easy right? Nope I'm sorry to say. The AI is way too quick and needs to be lowered considerably. With everything that this game has going for it, and it's a lot even with the small 3 arena's. I doubt it will last long or be played for any length of time because of the Computer opponent's AI speed and it's ruthless attacks. 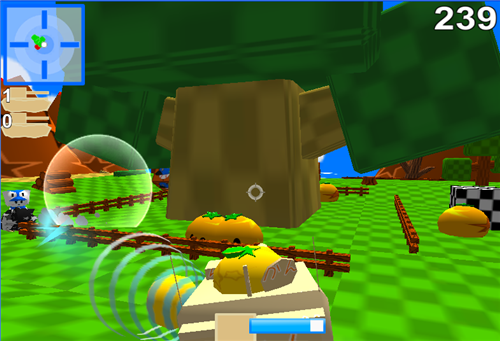 As well as this, there's flying enemies on some arena's that you'll need to deal with as well as a few objects you'll need to avoid. 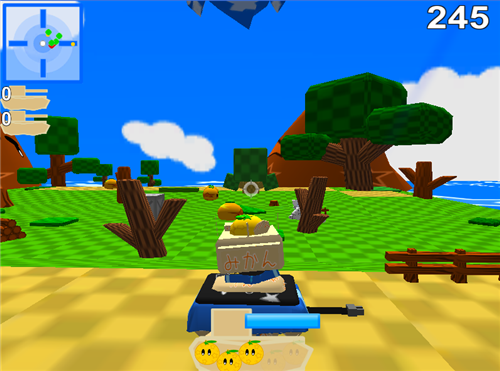 You have a certain amount of ammo which look like lemons, but extra lemon ammunition fall from above to pick up. There's a different enemy tank in each arena, I'm sure I saw a rabbit on one of them. For some reason the game music and sound effects were turned down when I started the game for the first time but on the option screen, go down to the 3rd menu and you can change it there if you have the same problem. 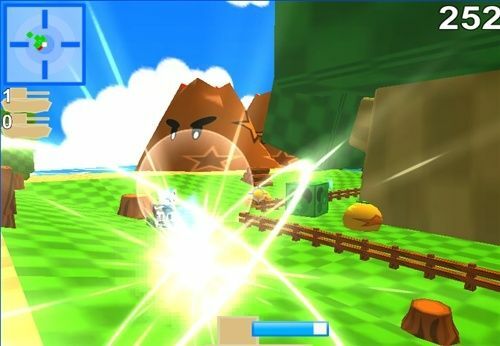 This freeware game is still in early development and I'm sure the game developer will tweak the computer opponents AI and speed. Overall it's a nice game but Very challenging.